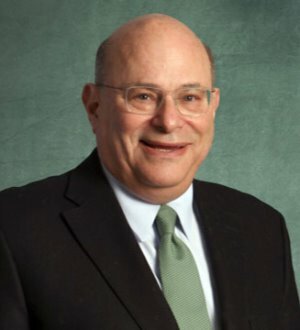 Mr. Deitch focuses his practice in corporate law, real estate law, and government relations.He has substantial experience in corporate governance matters, mergers and acquisitions, and structuring joint venture relationships, with a particular focus on the automotive and general industrial sectors. He also advises clients on all of the legal issues arising out of real estate development, leasing, and finance. Mr. Deitch is the chair of Bodman's Automotive Industry Team. He has been a key advisor on numerous cross-border M&A transactions involving buyers and sellers located in Japan, India, Mexico, and Europe. As part of his diversified business practice, Mr. Deitch authored the ballot proposal which was later enacted into law as the Michigan Gaming Control and Revenue Act which authorized casino gaming in the City of Detroit.Mr. Deitch has been active in public service and community organizations. He is an Emeritus Regent of the University of Michigan, having served for 24 years. He also served previously as vice chair of the Michigan Civil Service Commission, as treasurer of the Michigan Democratic Party, as vice chair of the Governor’s Blue Ribbon Commission on Welfare Reform, as a member of the National Advisory Council to the United States Small Business Administration, as a trustee of the Michigan Cancer Foundation, as a director of the Detroit Symphony Orchestra, and as a director of the National Conference for Community and Justice.